"Matalita" is a H28 ketch built in Brisbane 1956. 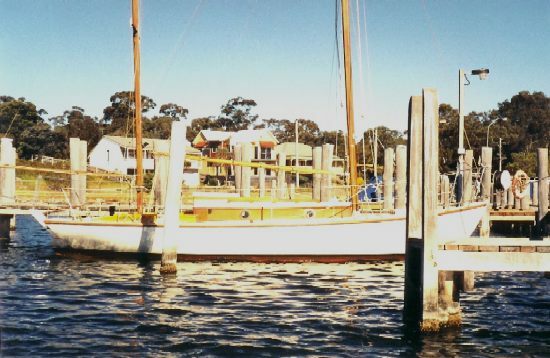 She sailed to Melbourne and has cruised and raced extensively around the bay before finding her home on the Gippsland Lakes. She only came to us for a new aft deck but we know boats. So too now does our understanding owner. "Just be gentle with me but make my boat right for the next fifty years". This we did, but he would like everyone to know that we still haven't found the origin of a leak in the cabin roof. It is over his wifes bunk and that is not so good as it is she who writes the cheques.